Disaster resilience is a term that lends a more positive note to the term used in previous decades, ‘disaster vulnerability.’ In similar vein, capacity building is now becoming a more popular term and concept in the context of disaster risk management. Resilience can be defined at micro or macro scales, depending on the objective of the research; for example, at the household, community, county, sub-national, national, regional, or global level. Resilience to disasters involves addressing the root causes of what makes people and communities susceptible to potential threats. Experts in the field have used a variety of terms to define resilience, namely robustness; the ability to bounce back after adverse events; the critical infrastructural capacity to withstand external shocks; and recovery and rehabilitation components embedded in the concept of resilience. Resilience also considers different forms of capital, namely human, social, physical, financial, natural and political. 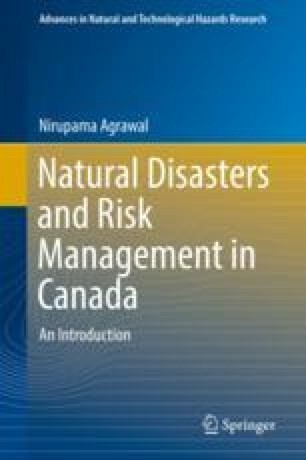 This chapter includes various definitions of and perspectives on resilience, vulnerability and sustainability in communities. Case studies from around the world are an essential component of the chapter.